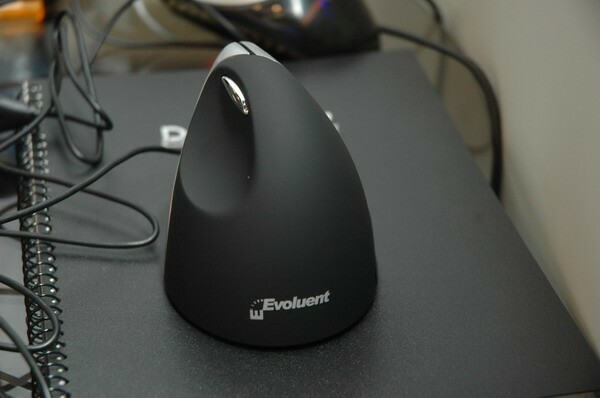 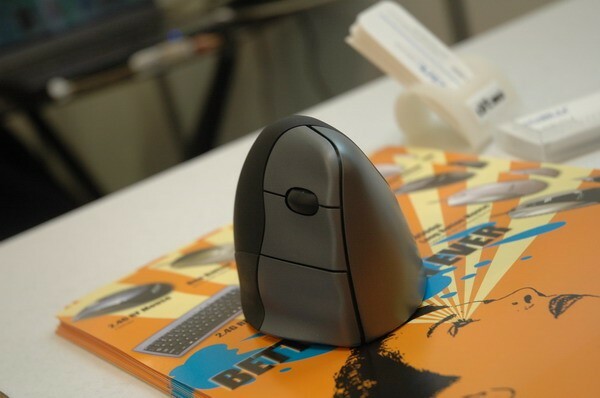 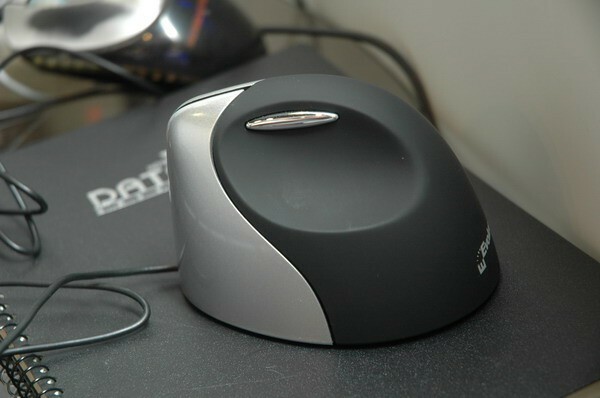 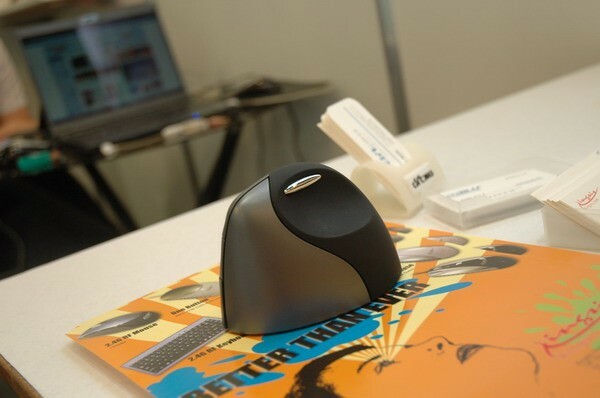 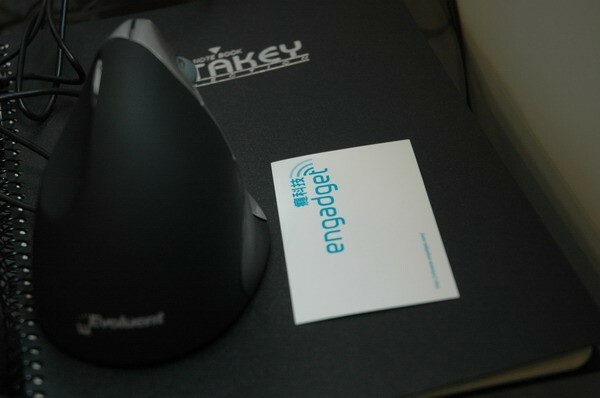 This ergonomic vertical mouse is from Evolutent, around USD$120 for wireless version, and USD$80 for wired version. 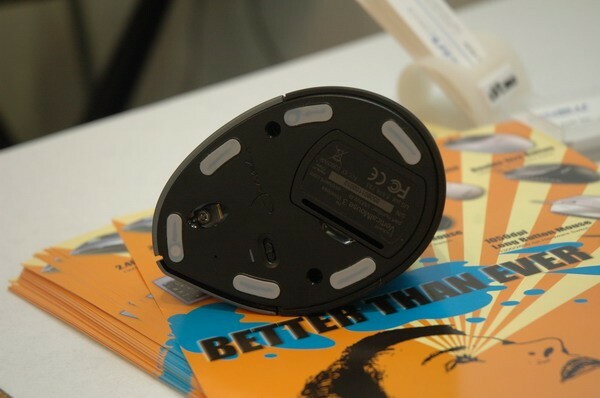 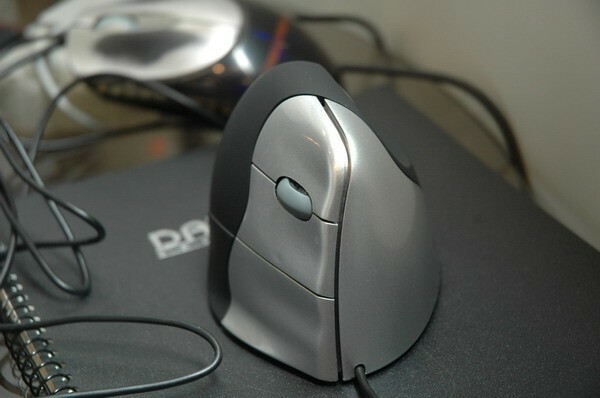 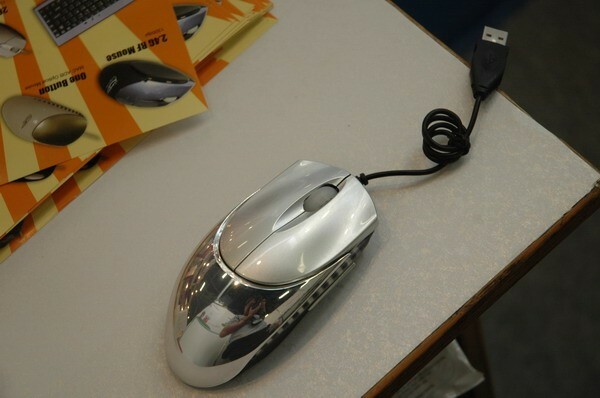 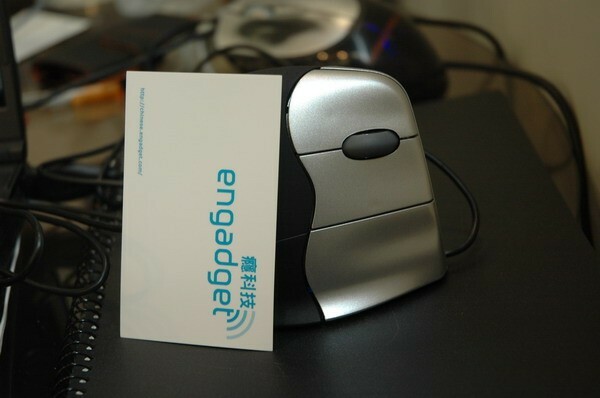 We happen to meet the OEM manufacturer for this vertical mouse in the showground, the company is Taiwan-based KingSis Technology, they also OEM mouse products for Razer. 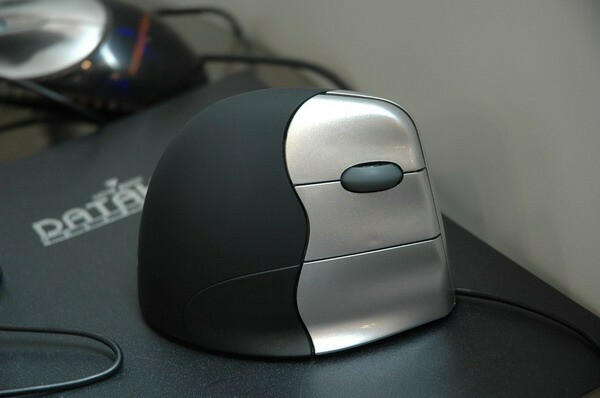 Anyone who knows something about Razer would know what this is.